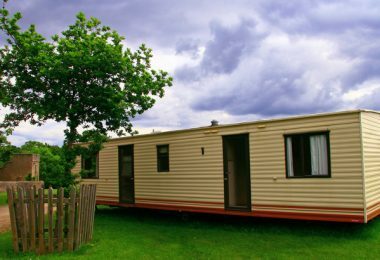 Whether you have already built a mobile home or you plan to, it is important to consider which heating system to install. In this article we are going to check out which mobile home hot water heater might prove to be the best choice for you and the different types available. If paying the electricity bill has become a problem, then perhaps a gas heater might suit you better. If you live on your own, then perhaps a tanked heater of small size might reduce the overall cost. Each heater comes with its pros and cons, but if you get familiar with them you can certainly benefit more. 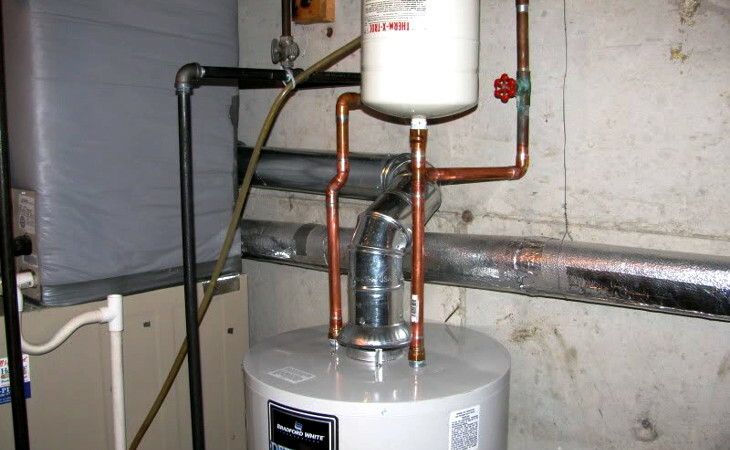 So if you are interested in finding more about maintaining a hot water heater for mobile home, let’s take a look at what goes into this important part of your home. 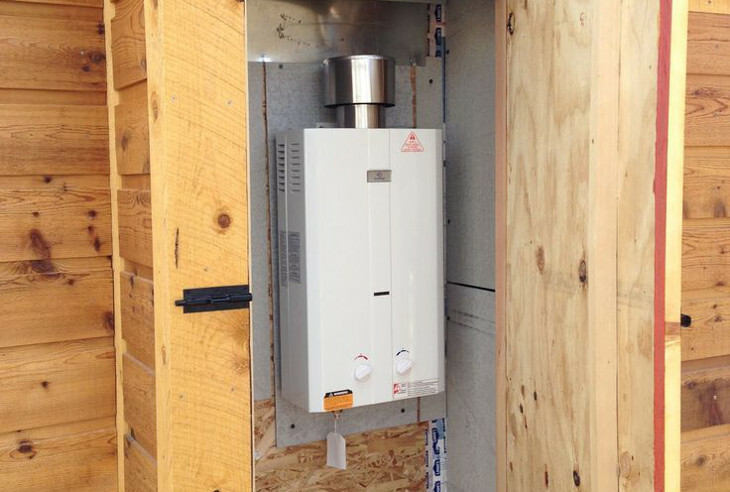 What is a Mobile Home Hot Water Heater? A water heater is a device that is used for heating domestic water. Many mobile homes come with already installed water heaters, but it is mostly up to you to decide which type you want to get. 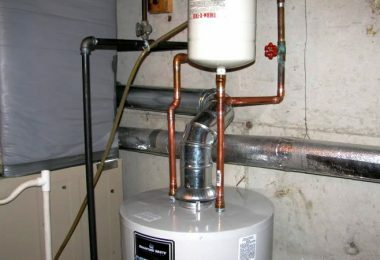 It is also not uncommon for owners to remove their manufactured water heaters after some time and replace them with some other more practical types. It is important to note that you should purchase a water heater of good quality if you want it to withstand harsh winter conditions. A daily provision of hot water is one of life’s basic necessities, and you would not want it to break shortly after you get it, right? That is why you need to check out all of the possible water heater types and only after that decide which might suit your mobile home the best. Before you decide to purchase or replace a heater, you should take into consideration a couple of things such as the size of the heater, the amount of water it can heat and where in the house to install the heater in order to gain the maximum. 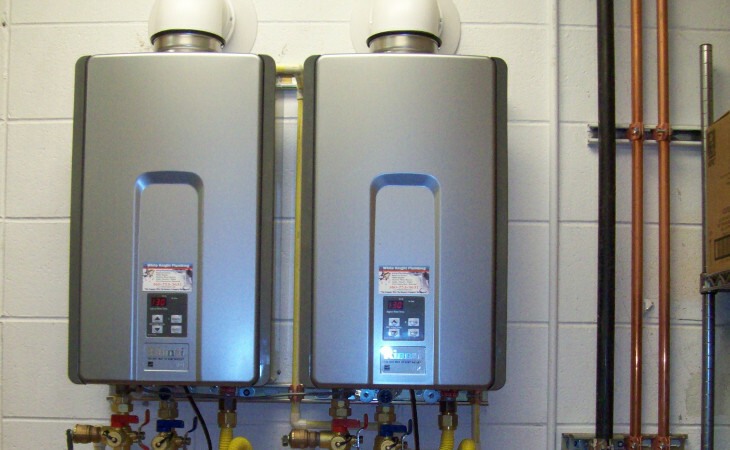 When it comes to different types of hot water heaters, there are three major categories. Understanding the difference between each one will be important for making your decision regarding which heater to buy. This type is the most conventional simply because it is always available. That means that it stores heated water until it starts cooling down and then it heats again. It is not expensive at all to purchase and install this type of heating system and it is also not affected by electricity black outs because it uses gas instead of electricity. This, however, comes with its own safety precautions which is why most of these heaters are placed outdoors or in the garage or basement. However, one of the cons is that there is a big wastage of fuel due to the constant heating and cooling down. These provide you with heated water whenever you need it, which means that it is up to you to turn the heater on. The best part about this heater is that it saves energy by only heating the amount of water you need. Most of these heaters occupy a small space and they do not need much maintenance. However, you should be aware of the fact that they are quite expensive and they can be affected by electricity blackouts. This type of heater uses electricity in order to heat the water when it is needed. These tanked heaters have the advantage of using the electricity at a slow rate. However, after some time, the water cools down and you need to turn on the heating system again. When compared to the gas heaters, the electric ones are definitely easier to install but they tend to cost more because electricity is more expensive than gas. On the other hand, electric heaters are easier to maintain, install and they are safer. 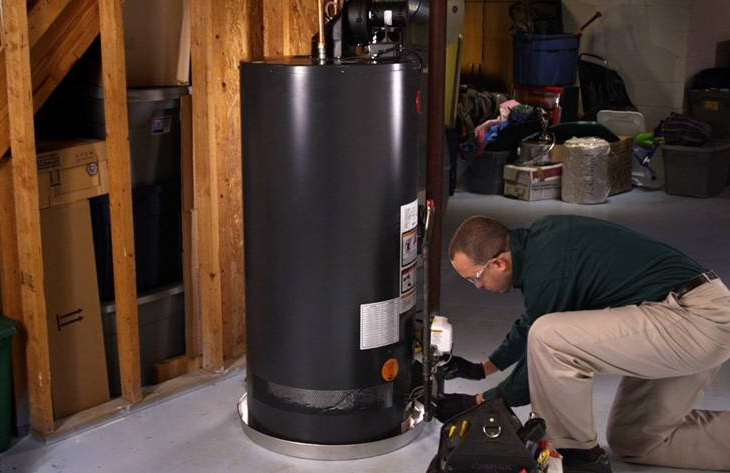 How to Install or Replace a Mobile Home Water Heater? If you are not sure how to install it by yourself, it is always best to hire a professional, especially because this task can be dangerous if not performed correctly. 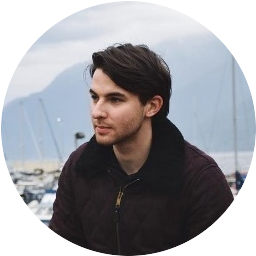 But if you are experienced and would like to give it a try, there are a few steps that you need to follow. You need to remove the old gas tank first, and it does not matter if you are going to replace the old one or you are installing a new one. 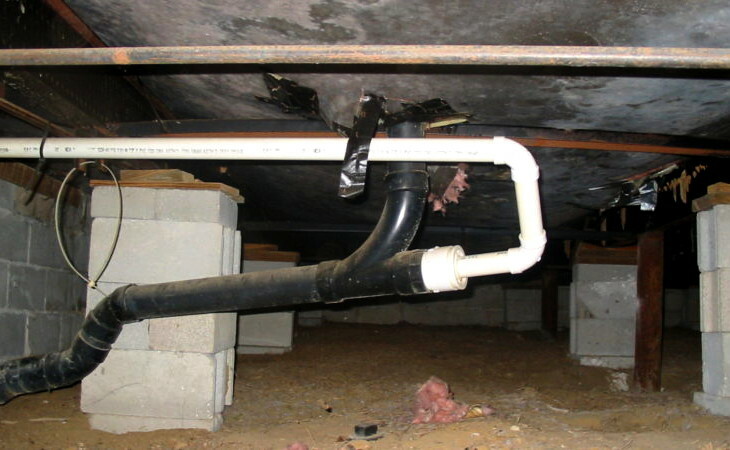 Whenever you work around gas, make sure that there is no leakage. After you have switched off the gas valve, you need to close the pilot switch and take out the duct. You also need to turn off the main water and remove the valve. 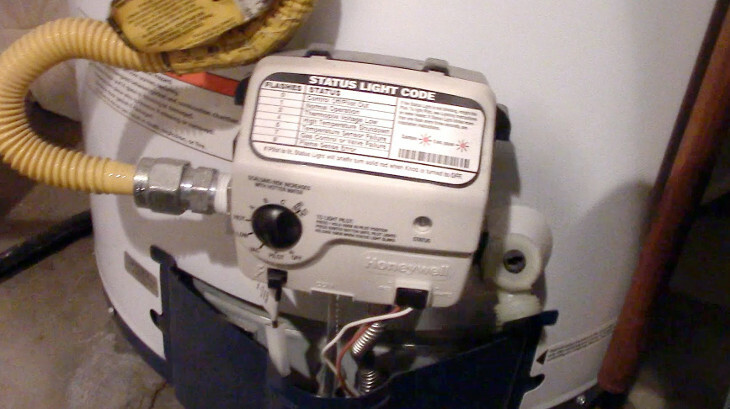 The rest of installation includes fixing a gas line to the pilot box and connecting the water supply to the heater. You now need to fix the cold and hot water supply before you fill the tank with water. Installing a gas heater is always the most complicated process, and that is why it is recommended to be monitored by a professional. All you need to do is take a vent pipe from the heater and put it outdoors. As long as the pipe is vented downwards, everything will be fine. In order to install thimbles in the walls, you need to cut holes. Fix the vents in to the thimbles. After that you need to mount the heater and provide it with water. Each pipe needs to slide into the fitting. This is not too difficult. It consists of disconnecting power lines and water pipes and removing the old heater. After that you need to install the cold and hot water pipes and fill up the tank with the cold water. Set the thermostat according to your preference, but keep it in a normal range so as not to scald yourself and turn on the circuit breaker. First check out whether that water heater has been approved for the usage in mobile homes. It needs to have a H.U.D. safety approval and if it does not, then it is illegal and potentially dangerous. Additionally, the insurance company might refuse to pay a claim if the heater does not have this safety approval. 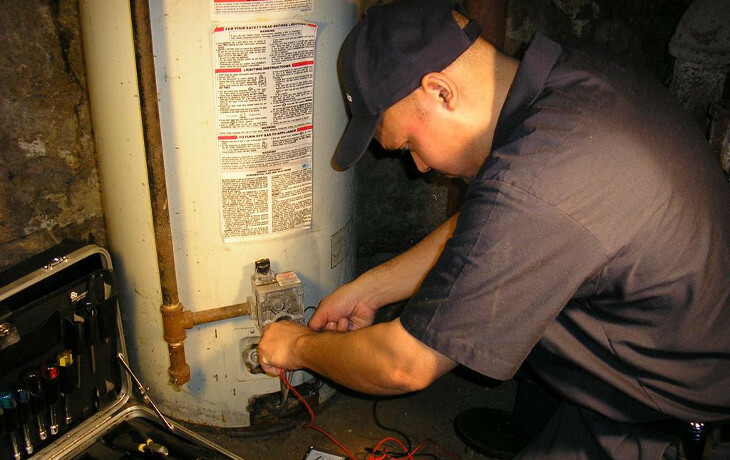 Replacing a water heater with a gas or electric one is sometimes difficult. You should replace the heater with the same unit that is installed in your home because converting might be too difficult, expensive or perhaps even impossible. For example, if you want to replace the old gas heater with the new electric one, your house perhaps does not have the suitable electric panel for it. In that case, the cost would be double. However, if you are ready to invest in a completely new heater and new installations which would suit your home more, then make sure to be familiar with the pros and cons of both gas and electric heaters. The location of your heater is also very important. This is even more crucial if you are installing a gas heater. In this case you need to put the heater far away from the main home, usually in the garage or basement, in order to avoid inhaling carbon monoxide. Consider how much space you can work with. Besides the heater dimensions, you also need to consider the location of the gas valve, the water supply lines and whether the heater will need to be re-piped again. Carefully measure everything you need before going out to purchase the new heater. This is probably the questions that many people would start with, which is normal, because you should be aware of your budget before the purchase. Remember that if you hire a professional to install the new heater that will be an additional cost, called the cost of operating. Let’s take a look at average prices and compare them. Since tanks are very easy to install, they are much cheaper than tankless heaters, which require a complicated installation. For example, a tankless heater can cost sometimes up to $3,000 including the installation. However, a tankless heater can also save you up to 25 percent in terms of water consumption because it has a low energy loss. A tanked heater can cost approximately up to $800 including the installation which takes only 2 to 3 hours. Gas heaters tend to be more difficult when it comes to installation, but they work during the power outrage and they would cost you less during their lifespan than the electric ones. That is why the price of an electric heater is around $300-$2800 while the gas heater is around $250-$1500. However, many people are afraid of unintentional carbon monoxide poisoning, so they end up going for the electric heaters. To sum up, we have talked about the main specifications of water heaters for mobile homes and different types. Choosing a new water heater depends largely on your preference and budget. 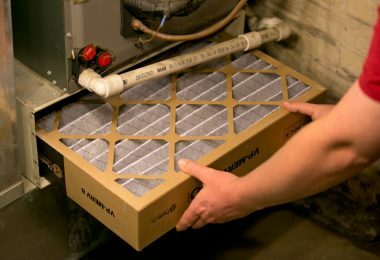 It can also be affected by the old heater, if you are replacing it. 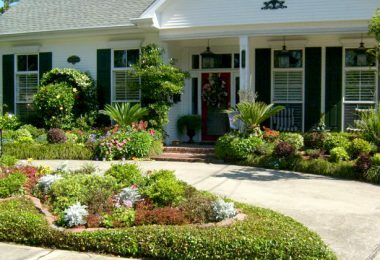 Before you decide on purchasing a specific model, make sure that there is a safety approval for mobile homes on it and that the dimensions fit the space where you are going to install it in your new home. Gas heaters tend to require more maintenance while the electric heaters are simpler and easier to use. 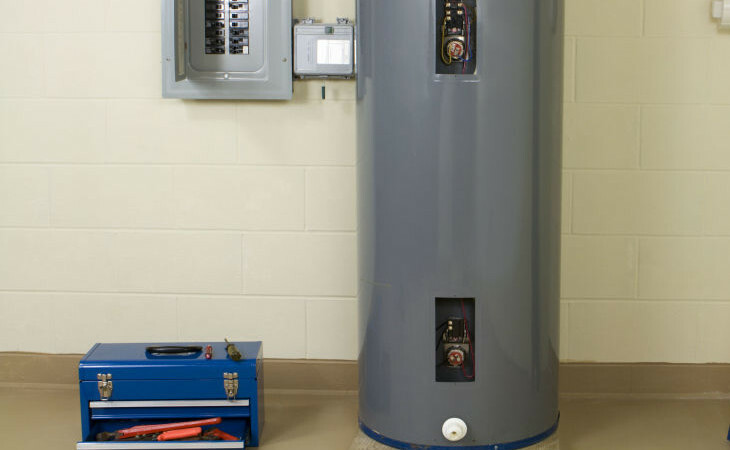 Which water heater do you prefer – the electric or gas one? Which one has proved to be more energy-efficient and practical? Have you ever used a tankless water heater? Pass on your thoughts and experiences in the comments section below.